"Destiny presented me with a situation that affords me access to a most strange, sometimes frightening, beautiful, and always intriguing world." 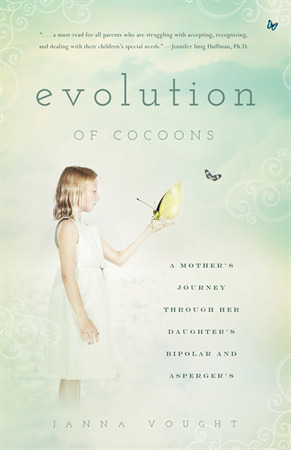 Evolution of Cocoons is a firsthand account of mothering a child who suffers from debilitating mental and developmental illnesses. The book offers readers an intimate glimpse into the life of a family reeling from the effects of such diseases; everyone is brave and flawed. It is an honest, brutal, introspective, and searching look into a life corrupted by a child's imbalanced mind and a mother’s search for strength. Check out Janna Vought's profile!